Our beautiful gallery is spread over two floors of an early 19th Century building located in the heart of Dartmouth, Devon. When you visit you’ll find a warm, welcoming space. Whether you are alone or with your family we’re happy for you to take your time and browse at your leisure. If your dog is in tow bring them in, ours will be waiting to say hello. We show a wide-ranging selection of work by established, contemporary British artists. We are an entirely independent gallery and have direct relationships with all of the artists we represent. We’ve worked with a number of our artists for many years building long term relationships that speak both to the quality of the work we show and to our professional, committed approach. During the course of the year we hold several mixed and solo exhibitions to showcase new work by our artists. If you are not already on our mailing list you can join on the link below to receive invites to these events. We’ll also keep you up to date with all of our gallery news. We’re members of the brilliant Own Art Scheme, an increasingly popular way to buy art by allowing you to spread the cost. Galleries must meet stringent criteria to be awarded with membership of the Own Art Scheme and we’re very proud to be able to offer this to our customers. Our gallery has been in the same family since 1999. We have owned and run the gallery since 2014 after establishing and then selling another successful gallery in Hampshire. 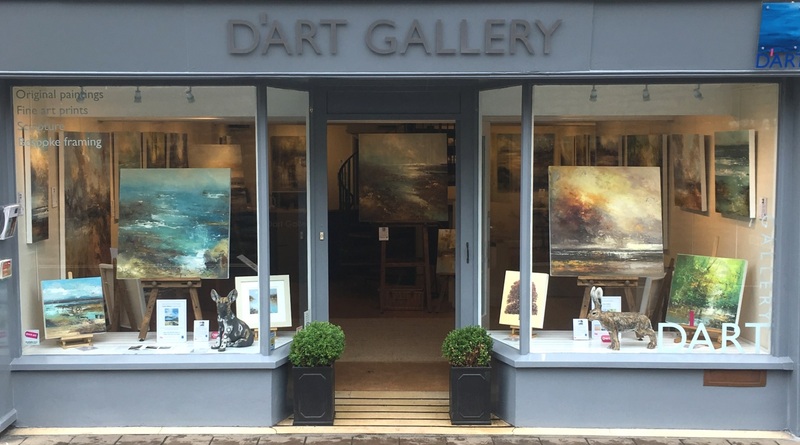 You’ll find much more information about the gallery on this website but if you want to ask us anything please do get in touch at info@dart-gallery.com or call 01803 834923. Owners & Directors, Dart Gallery.